Mr. Will Wong, Toronto Entertainment Blogger | HOW WILL WE GET OUR SUPERHERO FIX AFTER ENDGAME? This is it. Marvel has released the final trailers for Avengers: Endgame, the final instalment of the current crop of Marvel superheroes. 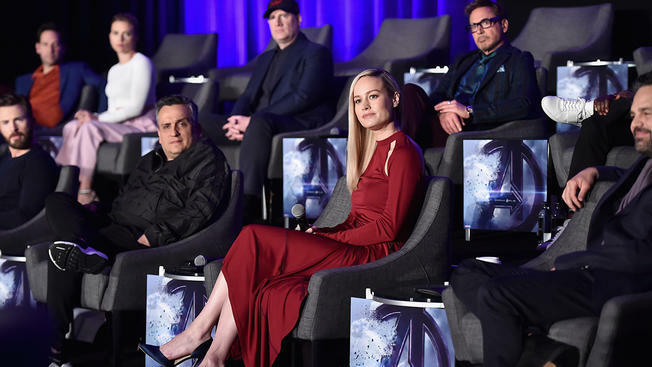 The 182-minute feature will tie up the loose ends of Infinity War and will show how the heroes interact – especially those who have been featured solo since the last Avengers instalment, such as Brie Larson’s Captain Marvel. But, once the dust of the final battle has settled and stars such as Mark Ruffalo and Chris Evans have hung up their superhero costumes (or green paint in Ruffalo’s case), how can we get our fix of supernatural crime fighting in lycra? Spider-Man, the Tom Holland version, is set to star in at least another film, so that particular hero will be around for fans to continue to engage with. Meanwhile, Gambit, Dark Phoenix and The New Mutants are also set to be released by Marvel, allowing a different crop of heroes to rise to the fore. It may be blasphemy, but fans can always head over to DC – Wonder Woman’s prequel is set to be released, as is Birds of Prey, a film about DC‘s group of superheroines and Harley Quinn. For some Marvel fans, jumping ship to their rival might seem like sacrilege, but both houses of superhero offer something different enough for most audiences to enjoy equally. So, while people may be mourning the loss of a certain crop of Avengers, established heroes such as Aquaman and Wonder Woman will be keeping the DC fires burning. Plus, the Marvel heroes arguably changed the game for what a superhero movie could be – so we may see a different take on some of the superheroes going forwards. Superheroes are defined by their speed, agility, and fighting prowess – traits which offer themselves perfectly for gaming. Online slots offer plenty of options for engaging with all kinds of superheroes. The most popular slots in Canada are developed by Microgaming, NetEnt and Play ‘n Go, and they regularly harness the draw of our favorite characters – 60s Batman, The Avengers, Iron Man, Wolverine and Green Lantern – matching it with this form of gaming, which is so popular it accounts for 50% of online gambling globally. Just because some of the heroes in their current incarnations have been retired doesn’t mean their game avatar versions also have to. But this is just one way we can revisit our iconic heroes by the power of games. For instance, the Mortal Kombat boss has announced that they want to develop a Marvel vs DC version of the fighting game, which will see absolutely every character from both franchises together to battle it out. Avengers: Endgame is likely to be the cinematic event of the year and rightly so. We’ve welcomed these heroes into our lives for a decade and want to see some of them drift away into the sunset happily. But, for diehard fans, fear not – after all, how many versions of Superman and Batman have graced our screens? While we wait for the reboots and spin-offs of our Avengers, there are still plenty of ways to connect with superheroes.